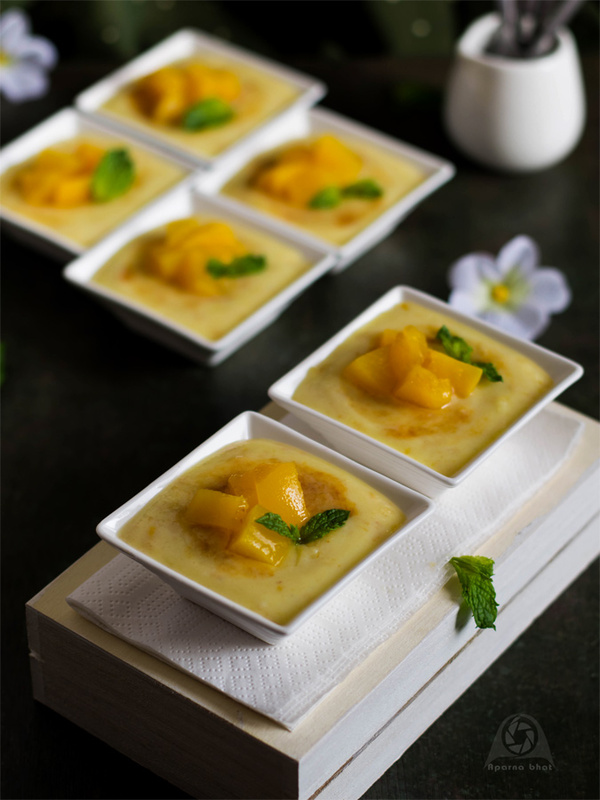 Phirni is a thick creamy rice pudding somewhat similar to kheer flavoured with cardamom powder and saffron/kesar. 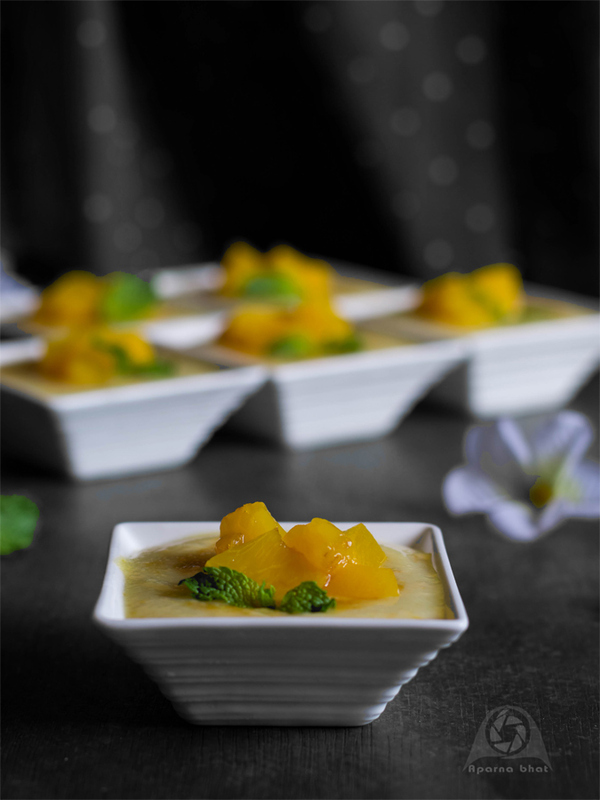 Fruit flavours may be added to this pudding in the form of fruit pulp or fruit chunks. 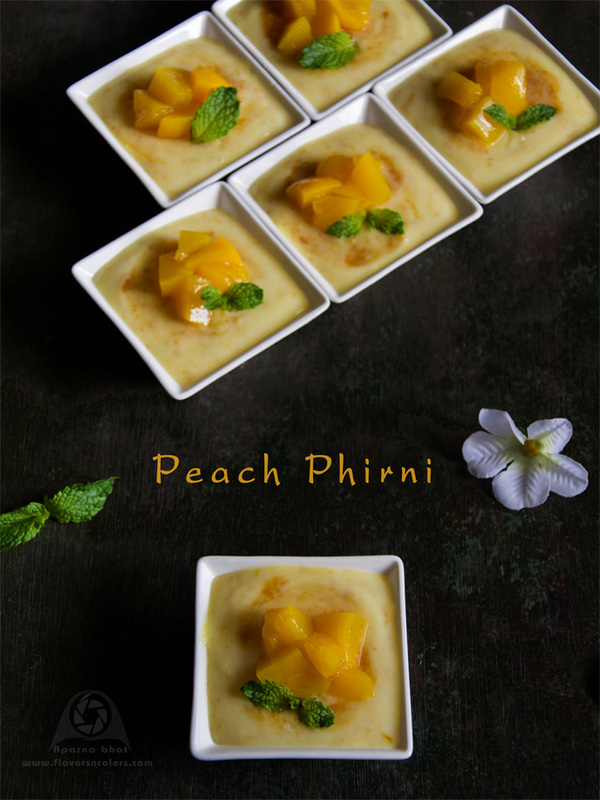 Below is the recipe for peach phirni where I have added fresh peach puree and garnished with peach chunks. You may choose to add other fruits such as mango, guava, avocado, strawberry based on its availability at your place. Wash rice, soak it for half hour. Soak some saffron in 1 tbsp of warm milk. Wash the peaches, remove the skin and blend it in food processor/blender. Keep aside this fruit puree. Take the remaining milk in a thick bottom pan and allow it to boil on medium heat. Meanwhile, drain and grind the rice to a very fine paste adding very little amount of water to it. Add the rice paste to boiling milk, lower the flame and keep stirring the mixture continuously to avoid lump formations. Stir until rice gets cooked completely. Add cardamom powder, saffron and sugar. Cook on sim flame til the mixture becomes semi thick in consistency. Turn off the heat. Allow the mixture to cool down. Now add the peach puree gently to the milk rice paste and mix it well. Transfer into serving bowls, garnish with garnishing ingredients as mentioned above. Refrigerate it for an hour or more. Serve chilled.